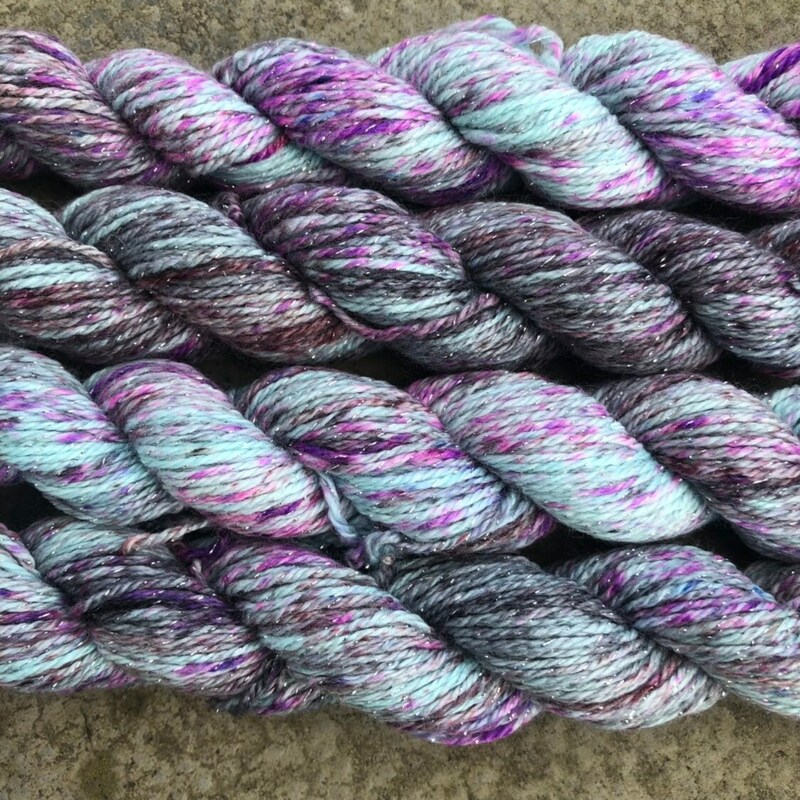 The pictures show sparkle miniskeins (top) and non-sparkle (underneath). 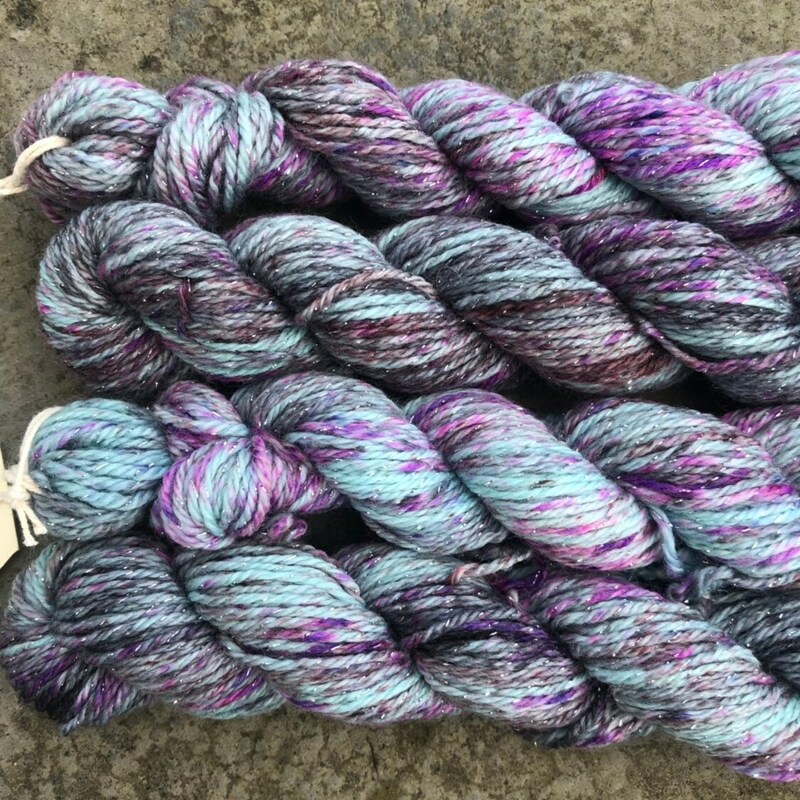 This listing is for the SPARKLY version. 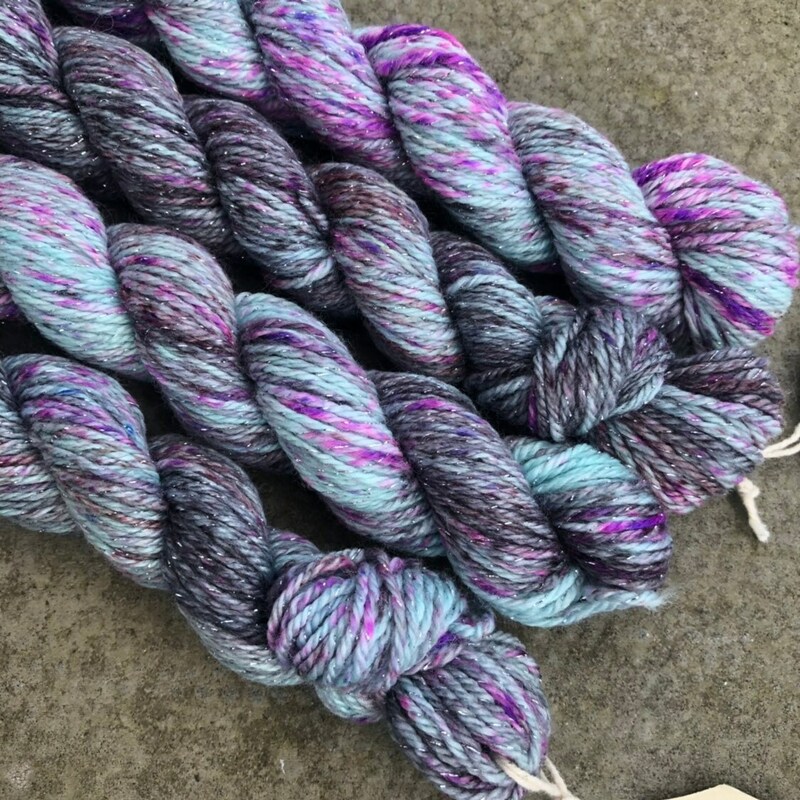 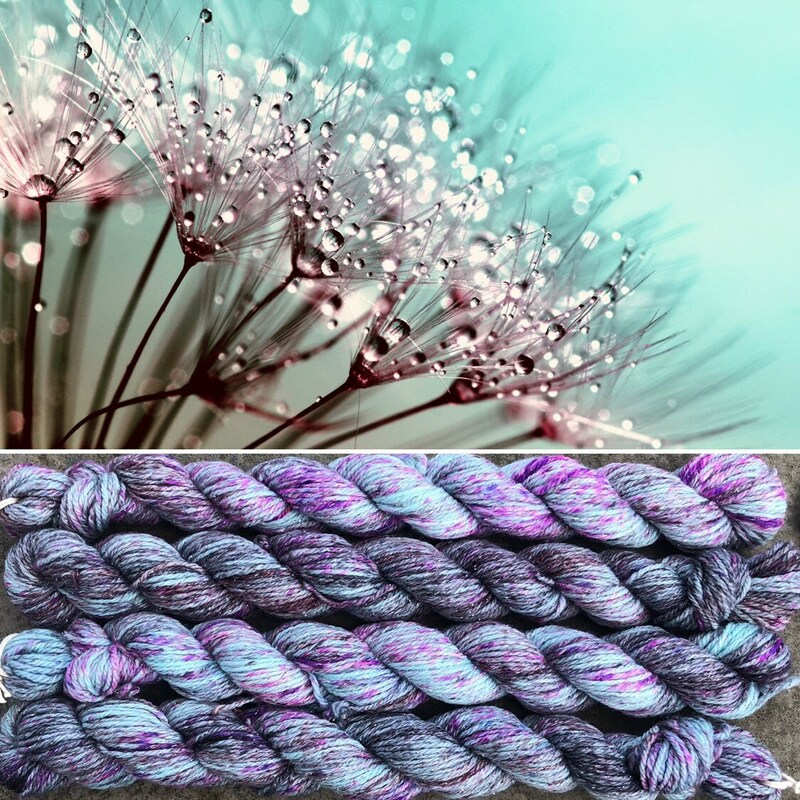 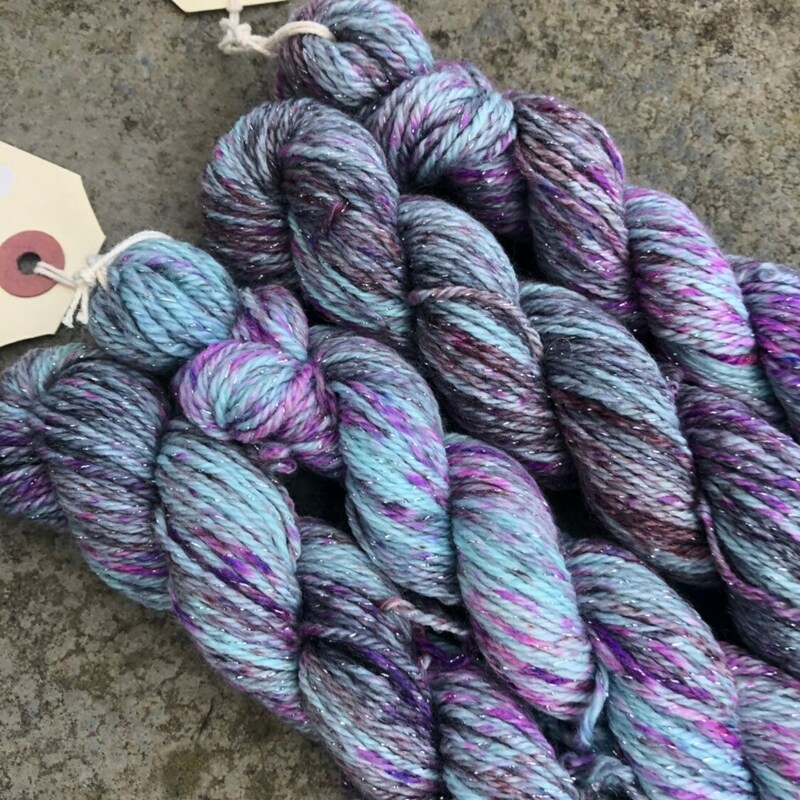 This is a superwash treated 4ply sock weight yarn with 75% merino wool for softness and warmth, 20% nylon for strength and durability, and 5% silver lurex for a dewy sparkle. 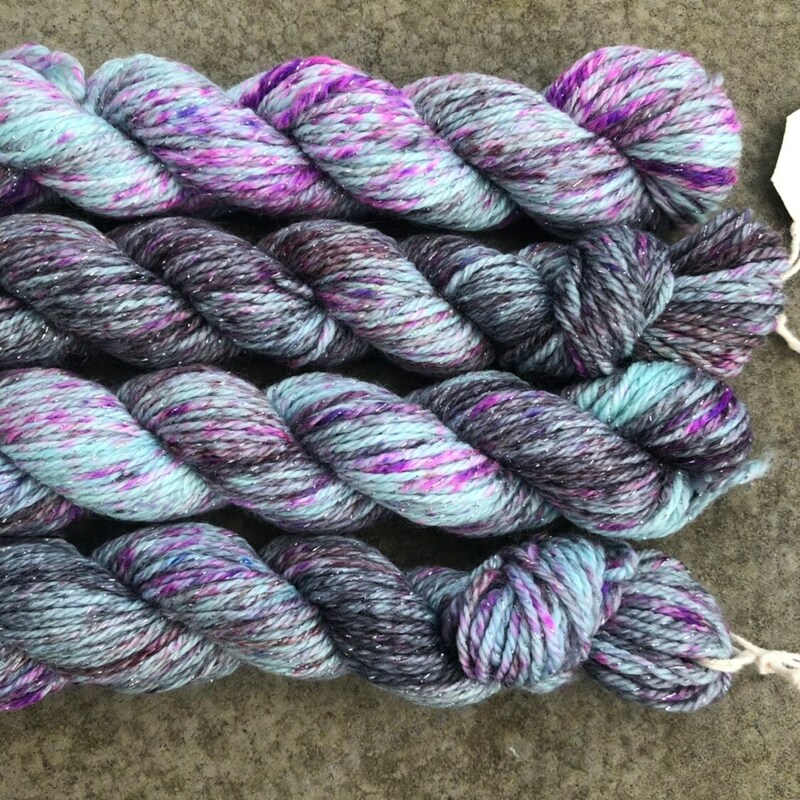 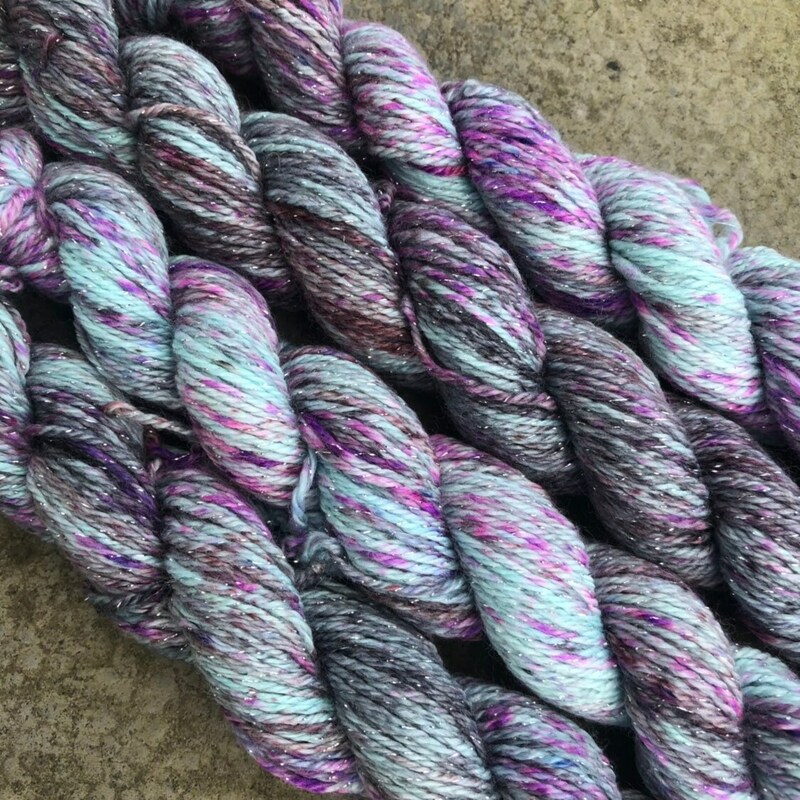 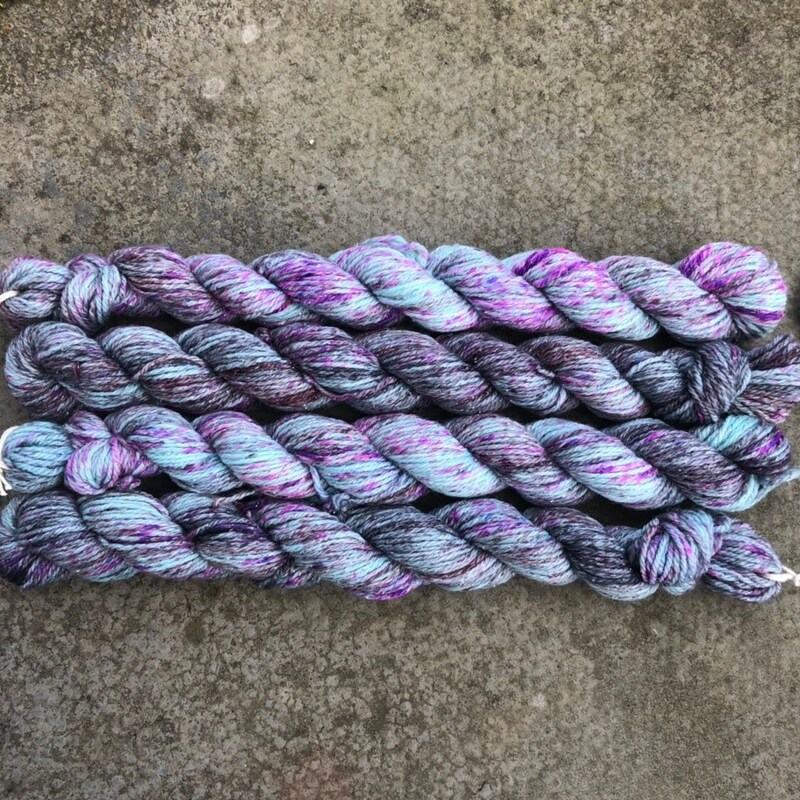 Around 80 metres per 20g mini skein.